Between November and March, the far northern Serengeti is blissfully devoid of other travelers who are largely concentrated in the south of the park, seeking out the migration herds. 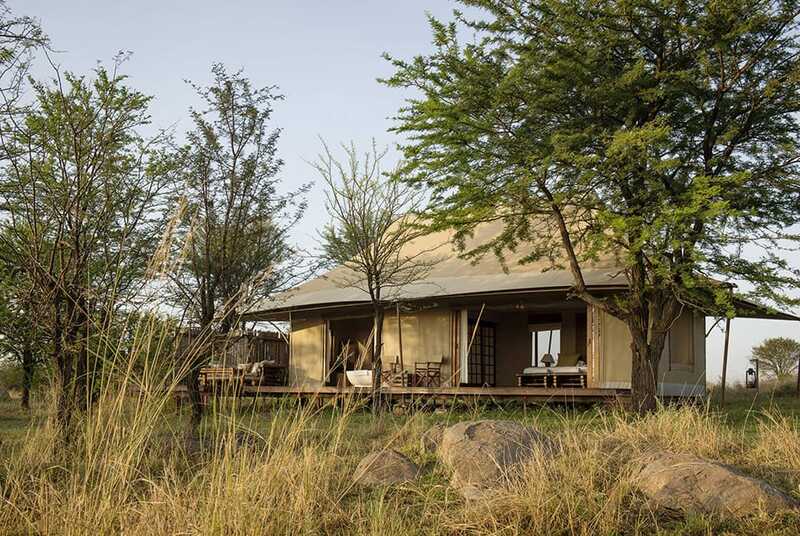 Within the Asilia team, it’s one of our favourite times to be at Sayari, enjoying the wildlife and endless savannah landscapes with no other travelers around. This short walking adventure enables you to get out on foot and enjoy a walking safari in the wild, and a night of fly camping under the stars. The walk is over undulating terrain but without any particularly steep climbs, and takes around five hours each way at a regular walking safari pace. The fly camp location is a special spot, with incredible views over the Mara River and beyond into Kenya’s Masai Mara and its distant escarpment. 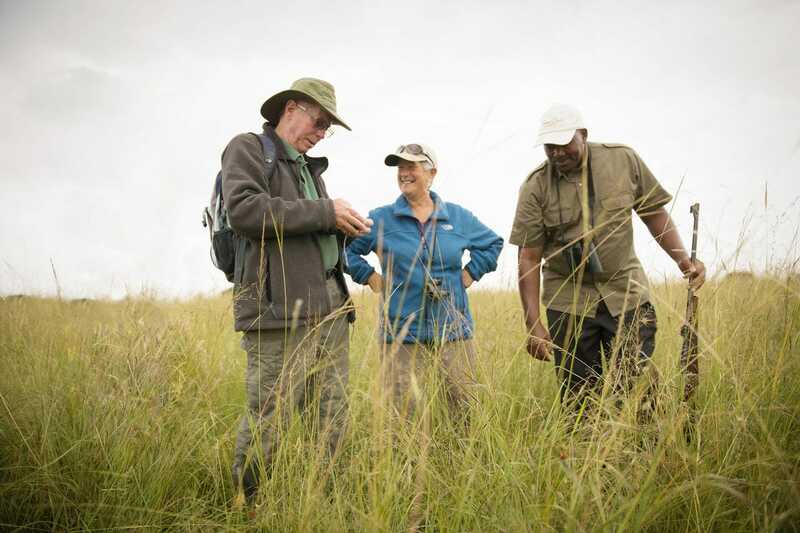 You will be walking in big game territory, so you’ll be accompanied by a highly qualified and armed walking guide who is there to ensure your safety, as well as show you the tracks and signs of the bush, identifying birdlife and any flora and fauna you come across on your explorations. Arrive at Sayari camp sometime today (normally before lunch) and enjoy a shared game drive with the knowledgeable guides at camp, exploring this beautiful area in the……..
After an early breakfast, depart Sayari with daypacks and set off on a walking safari for two to three hours, depending on the wildlife you encounter………. Wake at sunrise and enjoy breakfast cooked over the campfire by the fly camp team, before setting off on your walking safari back to………. Park and concession fees, all meals from lunch on Day 1 to lunch on Day 3, house drinks (soft drinks, beers, house wine, and local spirits), fly camp accommodation and your tent which is kept at Sayari Camp, the 1st night at Sayari Camp, Asilia conservation charge, and Medevac cover. The Safari begins and ends in Sayari Camp, Serengeti National Park, Tanzania.